8 hours before the agreed on ceasefire was thought to come in effect, not only the fighting on the ground escalates but Russian and “DNR / LC” representatives indicate, they will not feel bound to the deal anyways. This development once again proves western hopes for the Russian president Putin coming to his senses were unfounded and will be dissatisfied another time. Two hot spots of intense fighting along the line of contact in occupied Donetsk and Luhansk regions extract, with the de facto closed pocket of Debaltseve in the north and an area of some 120 km east of the coastal town Mariupol in the south. 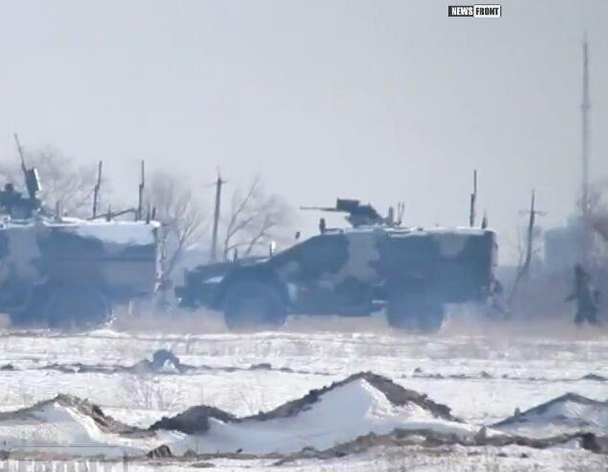 In Debaltseve, all Ukrainian efforts to reopen the M03 between Artemivsk and Debaltseve failed since the de facto closure of the pocket 5 days ago (article), trapping an unknown number of Ukrainian troops which might be between 1500 and 5000 according to different reliable sources. Instead, Russian forces were able to widen their control over the strategically important villages of Lohvynove to the north east, controlling half the way to Luhans’ke which is the last point of Ukrainian safe control by now. Fresh Russian army special forces as well as thousands of mercenaries from all over Russian and some local anti-Ukrainian fighters flow in from Horlivka and the areas to the south east with the resupply / reinforcement line reaching directly to Rostov oblast in Russia. Coming via Vuhlehirsk and Kalynivka, they reinforce the frontline with a merely never ending volume of men and heavy weapons. 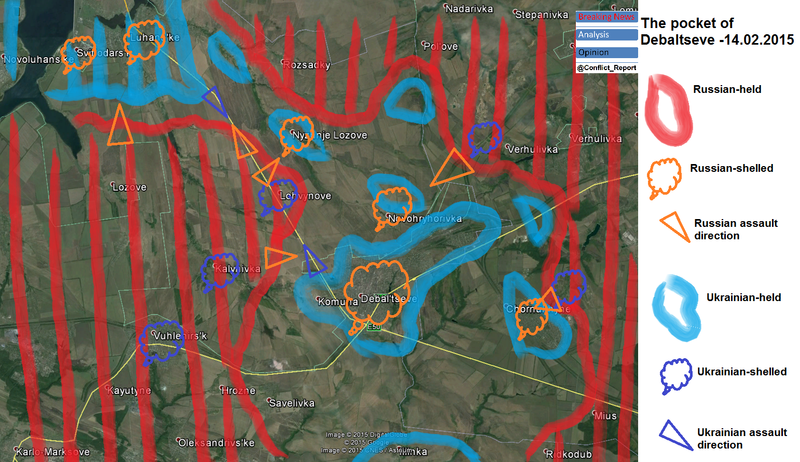 Hence, all Ukrainian army attempts to reopen the M03 failed (with a lot of Ukrainian armor being destroyed) and the only – extremely dangerous and probably not usable at all – road leading into and out of Debaltseve extends some 2 km to the north of the M03 and through the village of Nyzhnje Lozove, reported to be still held by Ukrainian forces. At the same time, troops loyal to the invasion command in Moscow, intensify their attacks on Debaltseve itself, approaching it mainly along the railway line leading to Zorynsk in the north east. They have come 3 km close to Debaltseve itself yesterday but probably further advanced overnight and stand at the Ukrainian fortifications in Novohryhorivka and the northern suburbs of the city itself by now. In Chornukhyne 3 km east of Debaltseve, Ukrainian and Russian troops fight fierce battles inside the town in what can be described as urban warfare. After the fall of the entire Ukrainian south eastern front in Mius, Ridkodub and Nikishyne, Russian forces could free more troops to take part in the assault coming from the south. The below map summarizes all important territorial and fighting-related developments around the pocket of Debaltseve, showing the desperate and probably only deteriorating situation for the Ukrainian army – in – and outside the besieged area. Over the next hours the situation is likely to further escalate with Russian commanders saying, the 14th of February (today) would be the decisive day for the battle. However, hopes that “Ukrainian troops only have to hold out until midnight” have to be given up as Russian commanders and their local puppets first said, every attempt to reopen the pocket would be regarded as a breach of the Minsk 2 agreement and met with lethal force and later made a mockery of the entire Minsk talks, saying the battle around Debaltseve was not part of the agreement reached (The “DNR’s president” Zakharchenko) and to end the fighting around the town tonight would be a “misinterpretation by western signers” (Russia’s Lavrov via Interfax). Looking at these statements and the developments on the ground, it becomes crystal clear that Putin never planned to give up conquering the city (now) and a lot of land of Ukraine later. 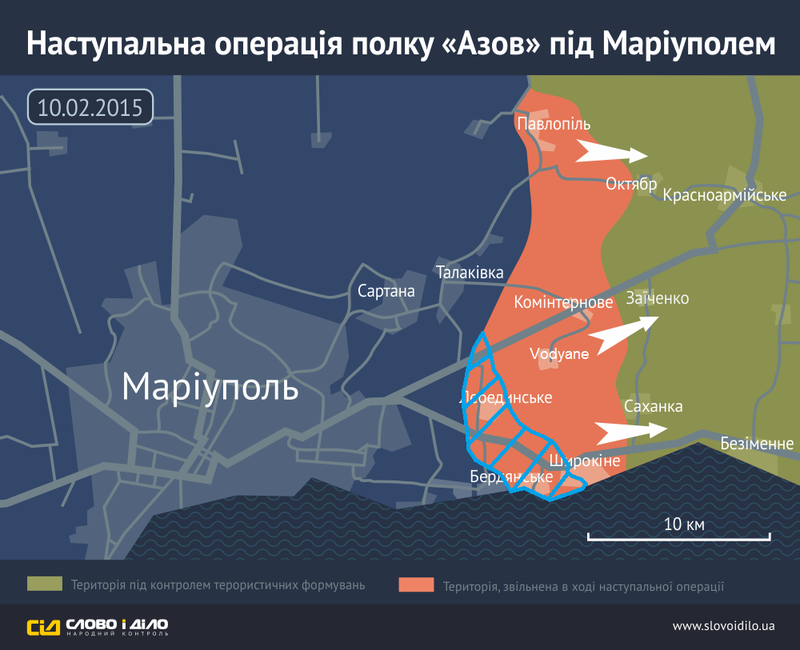 The second battlefield extends east of the southern city of Mariupol, where the Ukrainian National Guard Regiment Azov launched a surprise offensive several days ago, realizing the fact that most Russian invaders are active in other parts of the occupied territory. 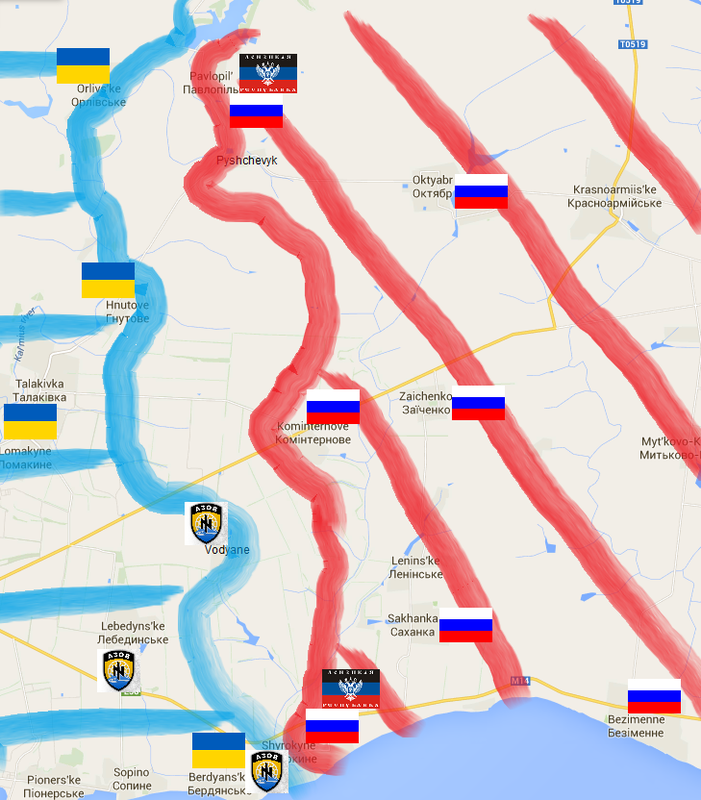 During their initial assault they managed to push weak Russian forces back around 12 km from Mariupol (article), taking a number of villages and towns along the two main roads leading to Novoazovsk and nearby Russia. 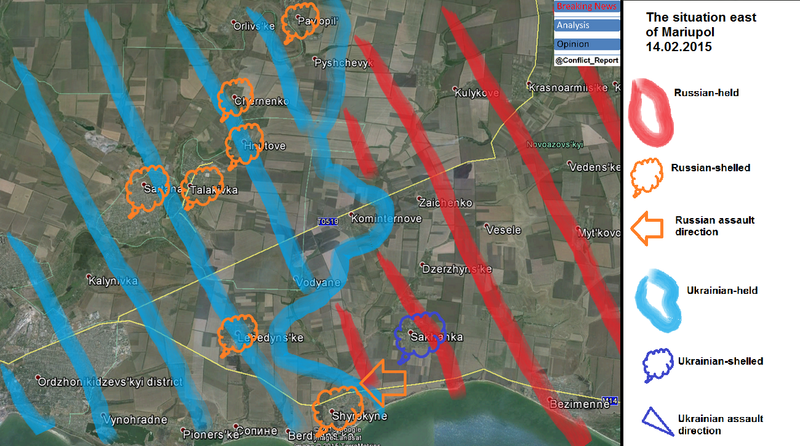 However, reports of strong Russian army formations crossing the border from nearby Taganrog turned out to be true and the Russian counteroffensive took full pace this morning with virtually all cities along the front being shelled with heavy weapons leading to the death and (mostly) injury of dozens of Azov fighters as well as civilians along the line of contact. While the Ukrainian National Guard fighters yesterday stood close to the Russian stronghold of Sakhanka (another source tweet), they seemingly had to withdraw to Shyrokyne overnight where they arranged a line of defense under heavy bombardment, successfully taking out several Russian army tanks with light anti tank weapons namely ATGM. The below map gives an impression about the situation according to all reliable sources as it looked like around noon February 14. 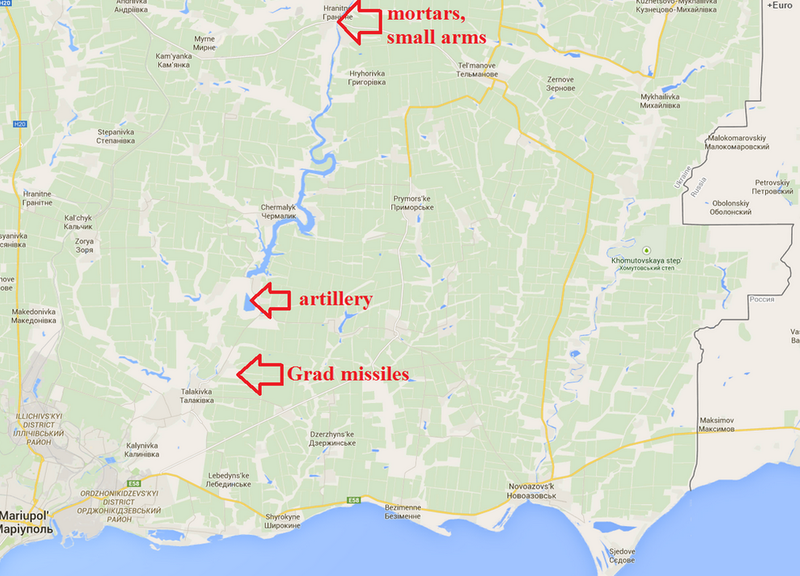 It can be excluded that Russia will accept the recent loss of 120 km² in this area. It wants to remain its eyes directly on Mariupol, the largest city remaining under Ukrainian control in occupied Donbas. To achieve that goal, it will not stop the offensive until it regains the line of contact which was in place until last Monday. Doing so and possibly facing heavy resistance from well-equipped Ukrainian forces, it remains to be seen if it will stop east of Mariupol or try to go further this time. Looking at these developments over the last 24 hours and having in mind that Russian medium range rocket artillery repeatedly bombed cities like Kramatorsk and Artemivsk, far west to the current front, are we indeed facing “the storm before the silence”, meaning a ceasefire starting after all the current fighting in less than 8 hours? Probably not. 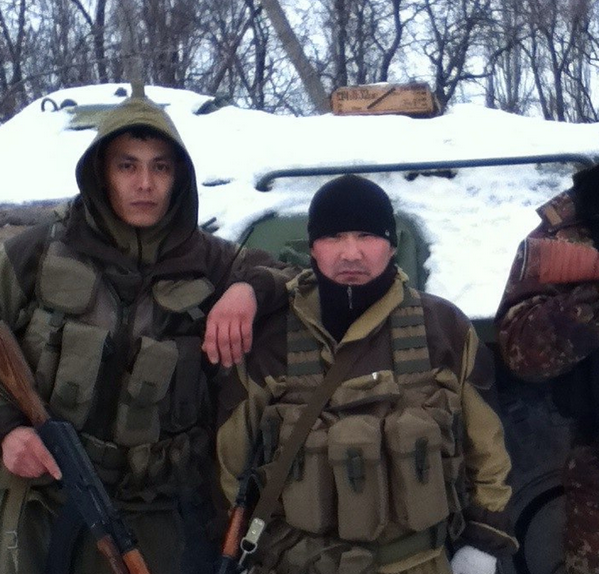 Russia isn’t finished with its territorial aspirations in neighboring Ukraine yet. It needs to control a much wider area to secure its strongholds in the east and push Ukrainian troops back from its “Republics’ capitals” of Donetsk and Luhansk (city). Furthermore a land bridge between occupied Crimea and the currently embattled territories of Ukraine is still needed to supply the southern Ukrainian peninsula with the goods it needs for a sustainable development. While this might not happen over the next weeks or months, latest statements (from 10 days before the ceasefire should start) by its puppets in Donetsk city have already set the course for the war to continue. The “DNR’s president” / terrorist leader Zakharchenko made clear that if not the entire Ukrainian regions of Luhansk and Donetsk (of which Russia only controls 40% so far) became independent under their leadership, they would expand the war as long as necessary to reach that goal. Keeping that in mind the chance of a real truce starting tonight, not to talk of heavy weapons being withdrawn from next Tuesday, stands close to zero. 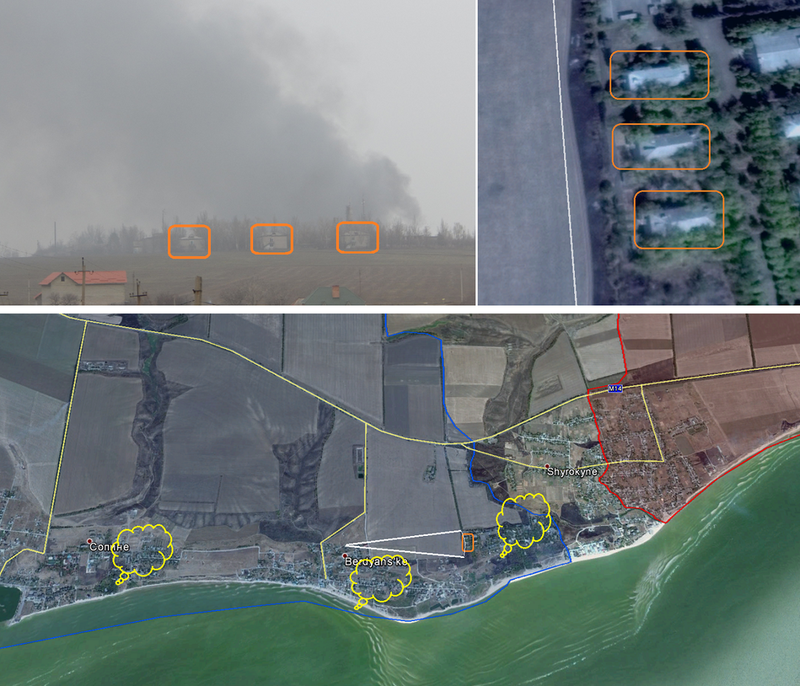 This morning, the Ukrainian national guard force “Regiment Azov” surprised virtually the whole world when it claimed, it started a counteroffensive east and north east of Mariupol mostly along the coastline of the Azov sea. Within hours, it pierced the thin Russian line of defense some 2-5 km east of the city and retook important towns like Pavlopil, Shyronkyne and Kominternove. At the same time it took the smaller settlements of Lebedynske and Berdyanske, which over the last month were more than once the launching pads for Russian tank, mortar and artillery attacks on the Ukrainian front east of Mariupol. First evidence pictures came from Pavlopil, which fell to Russian forces in early December last year, breaking the Minsk agreement. 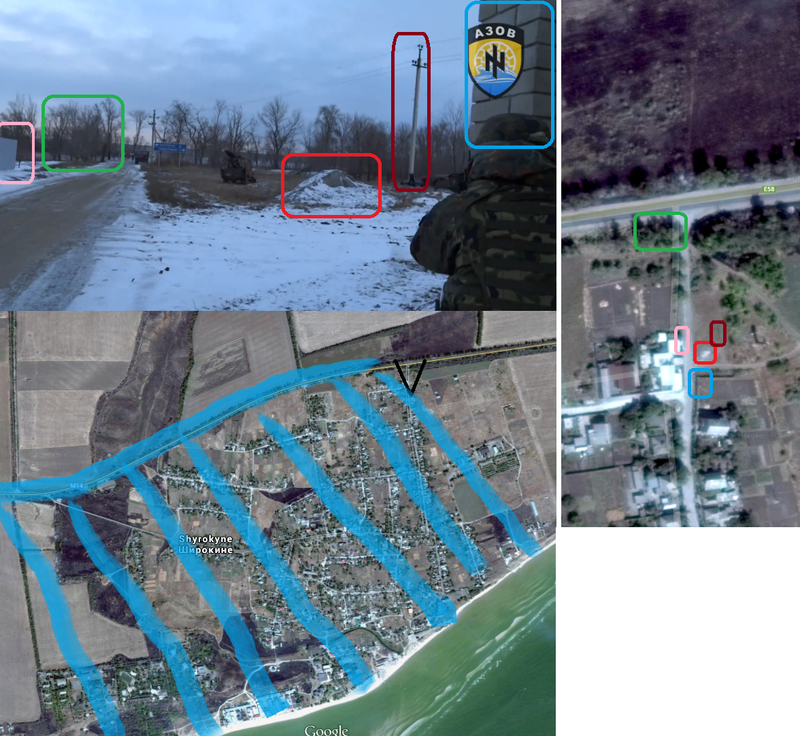 Geolocable footage shows, Regiment Azov indeed regained control over the town on the eastern bank of the river Kalmius, which was often used to attack nearby Orlivske and Hnutove since then. 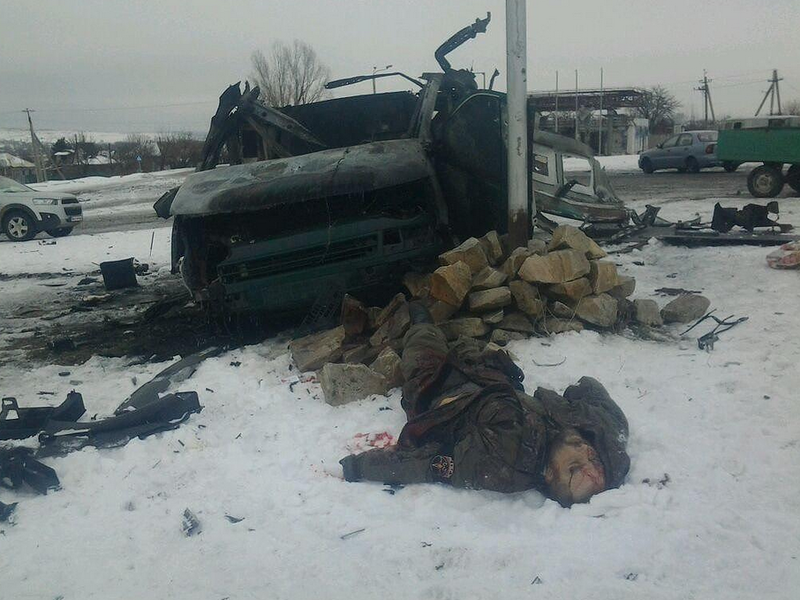 The picture shows that the “Novorossiya” flag was replaced by an Ukrainian one early on February 10. 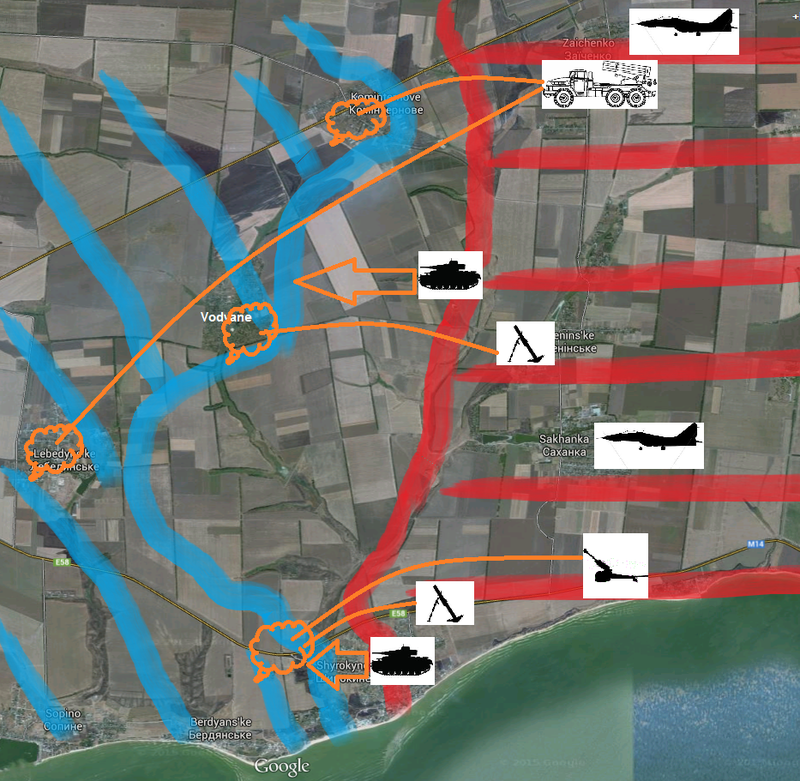 But Regiment Azov did not limit its push to the northern countryside of Mariupol. Instead, it also attacked right eastward, not halting at the pragmatically agreed on “Minsk demarcation line”, but – rightly – crossing it to recapture what Russia had stolen from Ukraine in late September last year, when it invaded Novoazovsk and the surrounding areas from the direction of Taganrog. 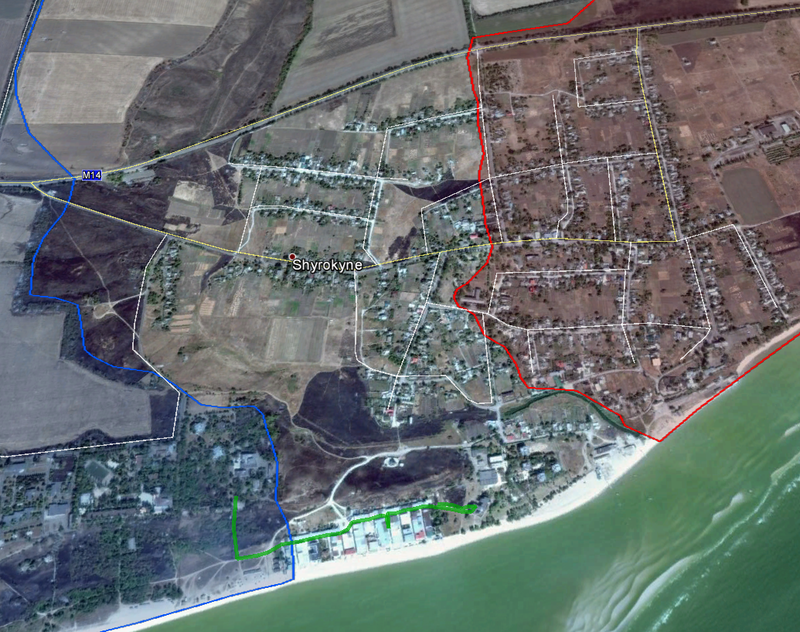 Simultaniously to Pavlopil in the north, Ukrainian forces captured Shyrokyne, the coastal town which was captured by Russian army forces on October 17 last year and for instance the origin of a deadly Grad attack (geolocated by me) on Talakivka 10 days later. The Ukrainian push reached further inland, with Regiment Azov reporting, they had attacked the first checkpoints of the Russian stronghold Sakhanka. However, this town could not be taken immediately, but fighting rages on. The local Russian invasion command in Donetsk confirmed the offensive shortly after, however denying that Ukrainian forces had indeed overrun Shyrokyne and claiming that fightin was still ongoing in the area. 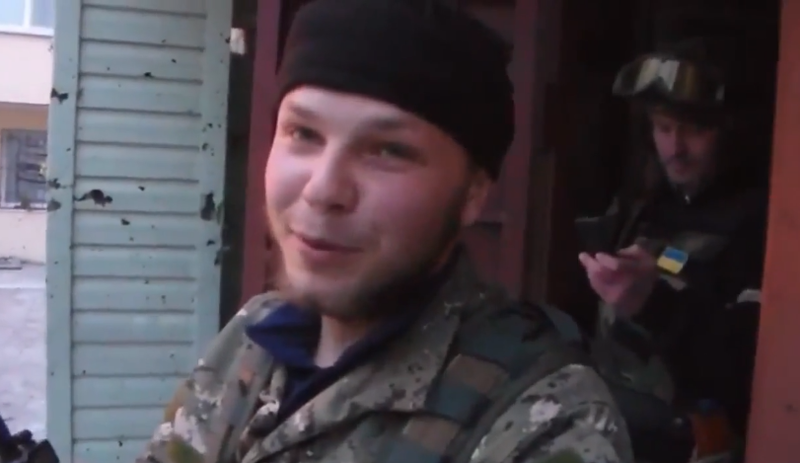 Update: Shortly after the article was published, Regiment Azov published footage from its push into Shyrokyne. 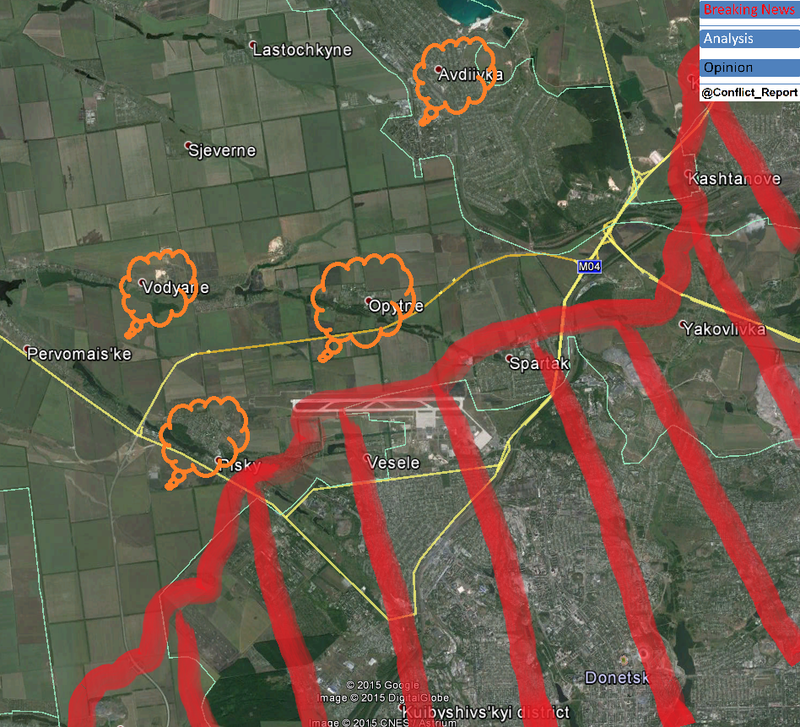 Geolocated (by me), it proves, the entire town was taken over and Russian forces remain to the north east of it (see geolocation below). Further north, Ukrainian troops sped down the T0519 road, reaching the next Russian-held town around 11am, named Kominternove. Ukrainian forces liberated Kominternove, however Russian occupiers meanwhile adjusted to the “Blitzkrieg”-like surpirse offensive and firing at the town from Zaichenko to its east, injuring several people. The frontline remains between the tow towns, according to the latest information around 4pm local time in the afternoon. 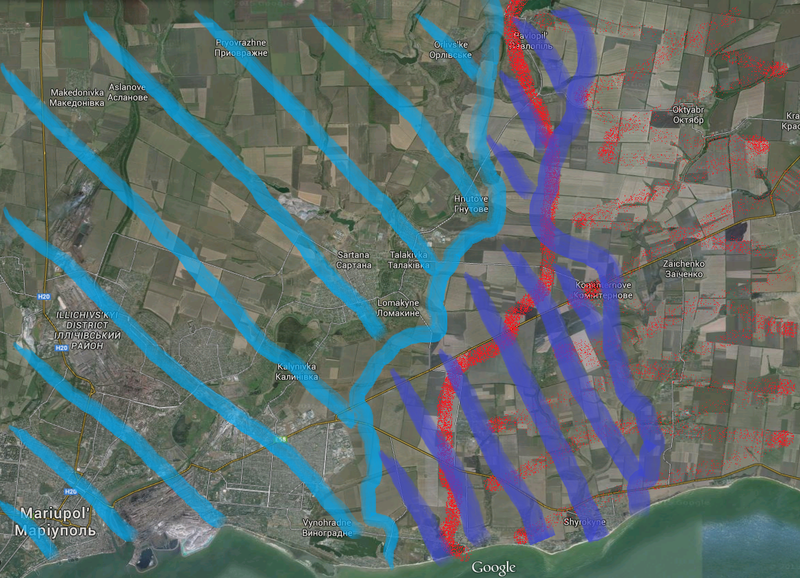 In conclusion, Ukrainian national guard forces shifted the frontline up to 11 km to the east, taking an area of more than 100km² as the below (report and evidence footage-based) map illustrates. 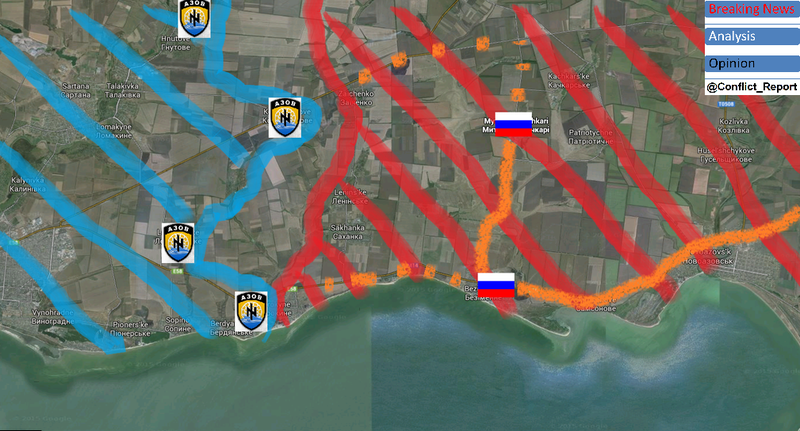 While during the first 3 hours it looked like Regiment Azov had left the Ukrainian chain of command and attacked eastward without Kiev’s backing, the National Security and Defense Council then reported, its secretary, Turchinov personally commanded the offensive and was in Mariupol. 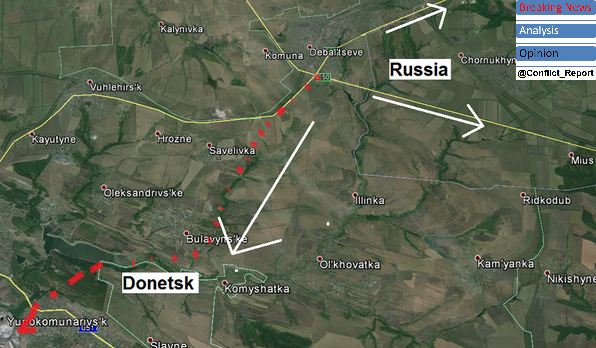 At the same time, the strategic purpose of the latest offensive remains. While Regiment Azov says, it was to “push the enemy frontline from the city [Mariupol] and decrease the threat of MLRS fire”, the Ukrainian army command says, it was to “return to the demarcation line military demarcation, which were recorded in the Minsk agreements”. Whatever it really is, the offensive shows that a surprise push against (locally) weak Russian lines can lead to substantial territorial gains. However it remains unclear of the move was wise. With Russian invasion forces unable to take Mariupol for now, they shifted their focus further to the north of the Donetsk and Luhansk regions. Now that Ukrainian forces left the cover of the town and went into open country, they are more vulnerable to enemy attacks than before. It also remains unclear, if the Russian invasion command in Mosow will accept today’s defeat in the area or rather mobilize once again its mighty military just over the border in Taganrog to launch an even harder counteroffensive. At the same time, the heinous Russian army 9A52-4 Tornado attack on Kramatorsk – 50 km from the actual frontline, killing 7 civilians and 4 soldiers – might be a first retaliation measure by the aggressor, showing he is not happy with the Ukrainian move in the south. Whatever will happen next, the Ukrainian army (/National Guard) set an important sign of exclamation with the Azov counteroffensive. After losing hundreds of soldier for just holding or losing (1500 km²) ground over the last 6 months, it now seeds a tiny glimmer of hope to millions of Ukrainians and around the globe, having almost lost hope that the status quo in occupied Donbas would ever again shift to Ukraine’s favor whether politically or militarily founded. At the same time, this local success doesn’t change the overall picture of the military situation in Donbas. Between 1500 and 5000 Ukrainian troops remain trapped in the pocket of Debaltseve with all Ukrainian army efforts to reopen it failing so far. The Russian army is several times stronger and better equipped than Ukrainian defenders and the momentum of the battle for Ukraine will not shift due to the coastal offensive in the south. But the signal is important. Ukraine will not go down without a fight and there is some hope left, the international community will come to its senses, support Ukraine in its struggle for freedom and punish Russia for its behavior with severe political and economic sanctions.